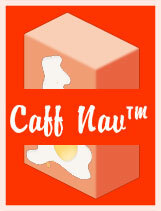 To locate your nearest caff, type your postcode or keyword in to the search box along the 'Caff Nav™' tab. You must be logged in to download Caff Nav™ for your navigation device. * We gratefully employ Ernest Marples postcode lookup service in our online version of Caff Nav™.